All the screws are the same except for the 1 screw on the face plate next to the CF card slot. You only need a Phillips screwdriver for the task. Unplug two wires from the old pad set to fully remove it. When the pads are exposed, the 1st plug is on the bottom left and the 2nd is under the pad tray. 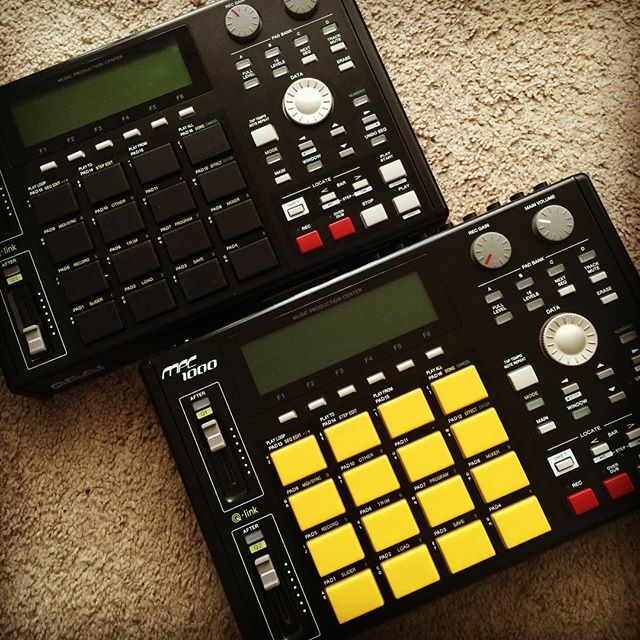 When everything was plugged in, I turned on the MPC 1000 and made sure the pads were working. After I placed the pad tray back into place, I again turned on the MPC 1000 and made sure the pads were working. 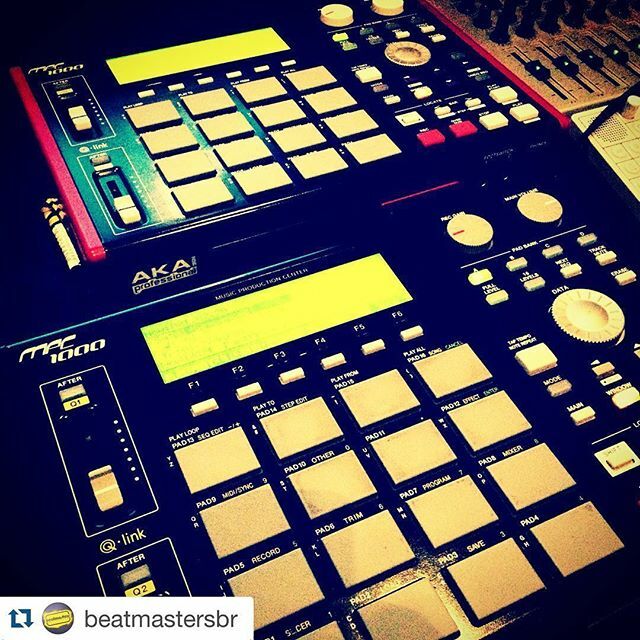 Once the pad tray was screwed in, I once again turned on the MPC 1000 and made sure the pads were working. The plug under the tray was stubborn and would come out while trying to place the tray back in. Placing the pad tray back into position wasn’t the easiest thing to do. I had to loosen the board with the white button on top to fit the tray back into place. If you do this, don’t forget to tighten the screws on that board. When placing the housing back on the MPC 1000, be very carefully. I broke one of the plastic buttons while putting the cover back on. As you place the screws back on, make sure the button are protruding where they should be. 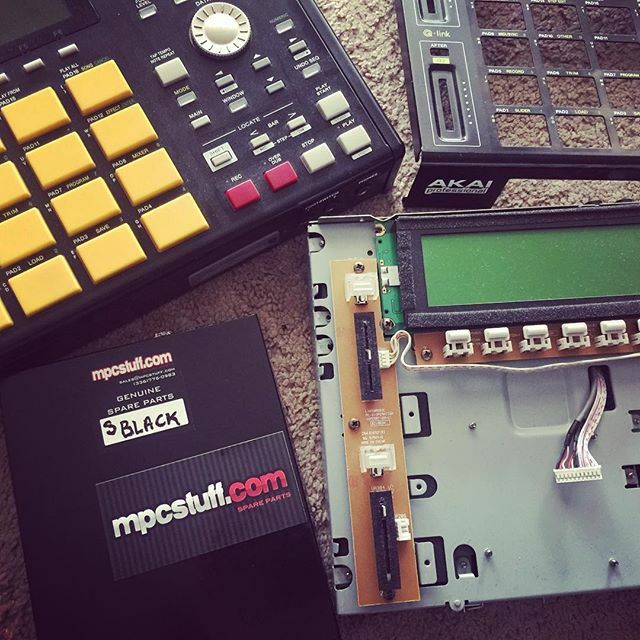 It’s not so hard and the upgrade is well worth it if you are trying to get rid of the nasty version 1 pads that Akai originally put in the MPC 1000s. 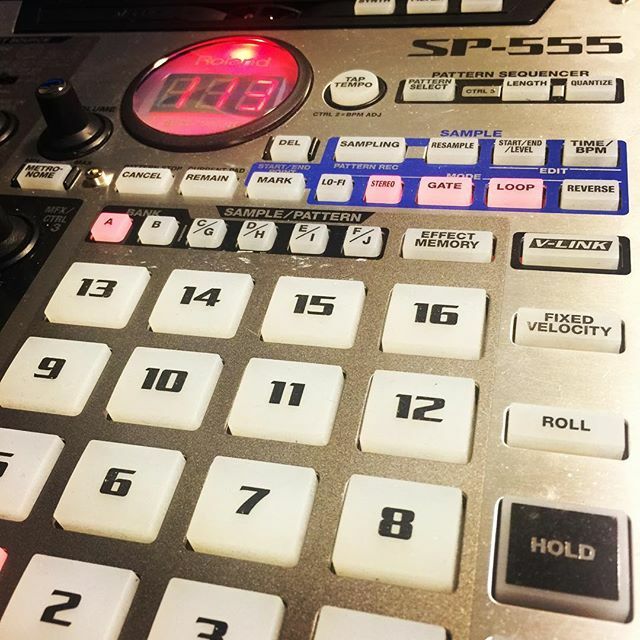 This entry was posted in Music Gear Talk and tagged Akai Pro, MPC 1000, Sampler on January 30, 2016 by Eric PM. 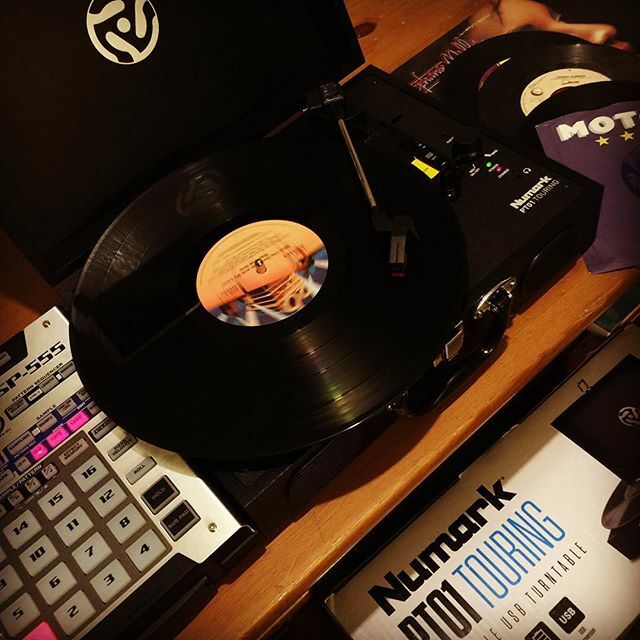 I can sample vinyl anywhere with the battery operated Numark PT01 Touring! This entry was posted in Music Gear Talk on January 30, 2016 by Eric PM.